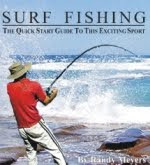 Cod fishing from the shore is for many anglers synonymous with bait fishing. Although there are other excellent alternatives available, bait fishing definitely provide some great opportunities for successful cod fishing. The ability to choose the most appropriate bait will often be crucial for your opportunities during shore angling. First and foremost, you should choose bait that cod will naturally feed on in the relevant area. Be aware that this may vary depending on seasons. During the spring, one can experience excellent cod fishing at many sandy beaches. Different types of worms are then active on the sandy bottom, and cod indulge in this type of food. During the summer, cod will often be swimming into areas with kelp to feast on crabs. Thereby, crabs will naturally be preferred as bait during summer fishing. These are just a few examples on the seasonal variations. Finding suitable fishing spots is always important when you engage in cod fishing. Normally cod will not keep together in lager shoals and therefore it will be spread across relatively large areas. Familiarize yourself with the characteristics of a good cod fishing spot before choosing in which area you are going to fish. Then choose a few locations that you believe will be suitable for shore angling and begin your cod fishing. You should be trying all of these locations carefully and under different conditions before you reject an area or before choosing your favorite spot. Timing is also important for successful cod fishing. Tides, wind, waves and light conditions are some of the conditions that will affect your opportunities for good catches. Read more in the article. When to fish for cod . All shore anglers must expect some days that will provide few or none catches, something that is particularly true for beginners. As you accumulate experience and knowledge you will be able to make decisions based on this and thereby you will experience that your catch rate will improve. There are many different rigs used during bait fishing from the shore. Some anglers choose acknowledged and commonly used rigs while other anglers choose to develop their own. You will find plenty of suggestions by searching on internet, alternatively you can check with other local anglers. As an inexperienced fisherman, you should not spend too much time on your equipment. The time you should instead spend on finding the best bait, the best fishing spots and of course on the actual fishing. The easiest way would be to attach a sinker at the end of your line. A bit above this, you use a 3-way swivel to create a leader where you attach the bait hook. Two such leaders will often be the best choice. Successful cod fishing will often depend on knowledge, dedication, patience and a little bit luck. This is especially true for shore angling. Show patience and endurance. The reward will often be good catches and great experiences.